Tirumala Parchuri is currently pursuing her IMB (International Master in Business) degree at SDA Bocconi Asia Center, India. 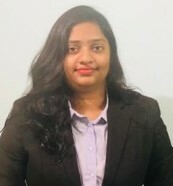 She holds a Bachelor of Technology in Electronics and Communication Engineering from K L University (Andhra Pradesh, India), where she studied from 2011-2015. Tirumala has work experience of 26 months as a Senior Software Engineer. During her stint, she was responsible for developing program for clients using Java and PEGA technologies. She also handled support activities for solving incidents coming from the clients’ end. Share the post "Tirumala Parchuri"